Which Cabin will you choose onboard MSC Cruise Lines? As seasoned cruisers or even first time cruisers choosing the correct and perfect cabin for you can be very stressful, some people like to be on a certain deck, near a certain location, in a certain position or some will take pot luck and be allocated any kind of cabin from the cruise line, this is all down to each person’s personal preference. 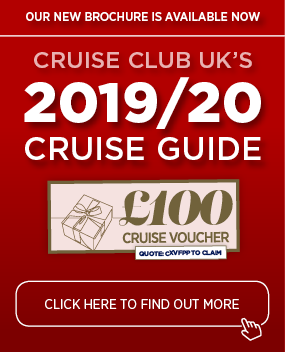 Here is a description of the cabins and services each one has to offer with the fantastic MSC Cruise Lines. Firstly we start with the Bella Experience, the Bella Experience can be found on the Inside, Outside and Balcony Cabins. The Bella Experience guarantees you a particular grade of Cabin of your choice but on a guarantee basis, this means at time of booking you will be allocated a cabin with or without a cabin number and your preferred dining time captured, the cruise line will then allocate the cabin and dining time nearer to sailing (this is where your preferred dining time may change and the cabin number which can be changed by the cruise line at anytime). The Bella Experience will still receive full board dining options onboard and room service will be chargeable and not complimentary. Secondly MSC Cruise Lines have the Fantastica Experience, again this can be found on the Inside, Outside and Balcony Cabins. The Fantastica Experience gives you more options than the Bella Experience. With the Fantastica Experience you can choose upfront the cabin that you require and your preference for dining will be allocated to your preference. Room service also will be complimentary. We then move onto the Wellness Experience which focuses on passengers who are dedicated to fitness, passengers on board will under go a medical evaluation with the on board doctors, they also have the chance of one to one check ups, with fresh and delicious healthy foods served to them. 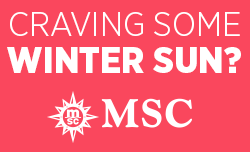 MSC Cruise Lines will provide all Wellness passengers with a work out mat and resistance bands and will also offer passengers complimetary laundry service for all exercise clothing. Introducing the amazing Aurea Experience, this experience combines all the extra comforts from Fantastica and Wellness Experience with the added advantage of complimentary well being products, complimentary drinks (soft and alcoholic) unlimited use of the Thermal area and spa treatments. The Aurea Experience is for guests that like to feel relaxed and spoilt on their holiday, an experience not to be missed and should be tried by all. Finally we have the amazing Yacht Club which houses luxury suites, private part of the ship including a lounge, pool and restaurant, 24 hour butler service and concierge reception. Every guest booked into the Yacht Club will be waited on hand and foot and even have private access to the unbelievable MSC Aurea Spa. Yacht Club Passengers also receive complimentary alcoholic and non alcoholic drinks for the duration of the cruise. On check in there will be no queues for you as you will have your very own check in area which will help you avoid standing in lengthy lines, disembark the ship first for tenders, for excursions and to leave the ship on the final day. The information shows you the benefits of each cabin, the cabin you choose will all be down to the experience that you want to receive and of course the monetary vlaue you have spend. The Voice on Princess cruises !